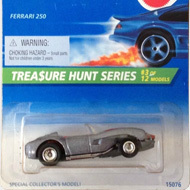 2/12 from the 1996 Treasure Hunt series. 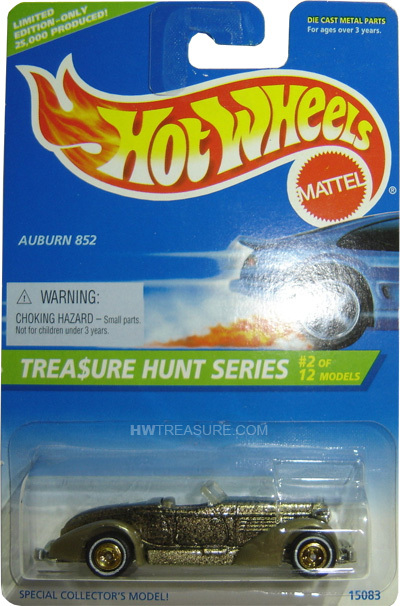 The Auburn features gold metalflake paint with clear windows, dark gold interior, white line Real Rider wheels with gold rims, and an unpainted metal Malaysia base. 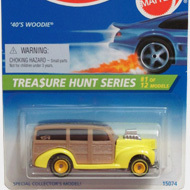 The vehicle first appeared in the Oldies But Goodies series in 1979. Its design is based upon the 1930’s Auburn Speedster.